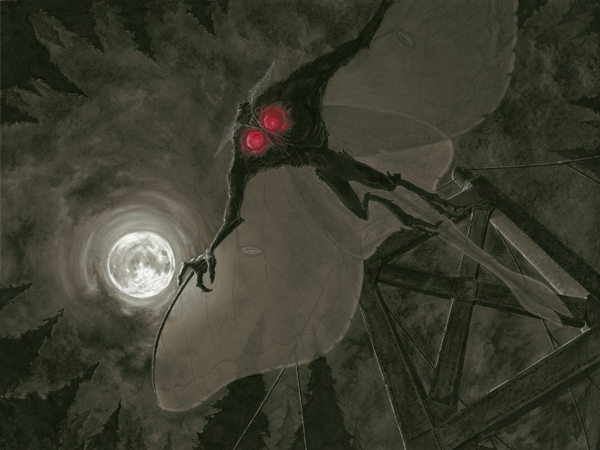 Done as a commission for a collector who loves the Mothman urban legend. This is the third piece in my Creature series. The bridge is based on the tall spires from the actual Silver Bridge that collapsed right after the sightings of the Mothman in PA.